This sign is perfect for anyone who works the night shift and sleeps during the day. It's also great for parents who don't want people waking up their kids during nap time. 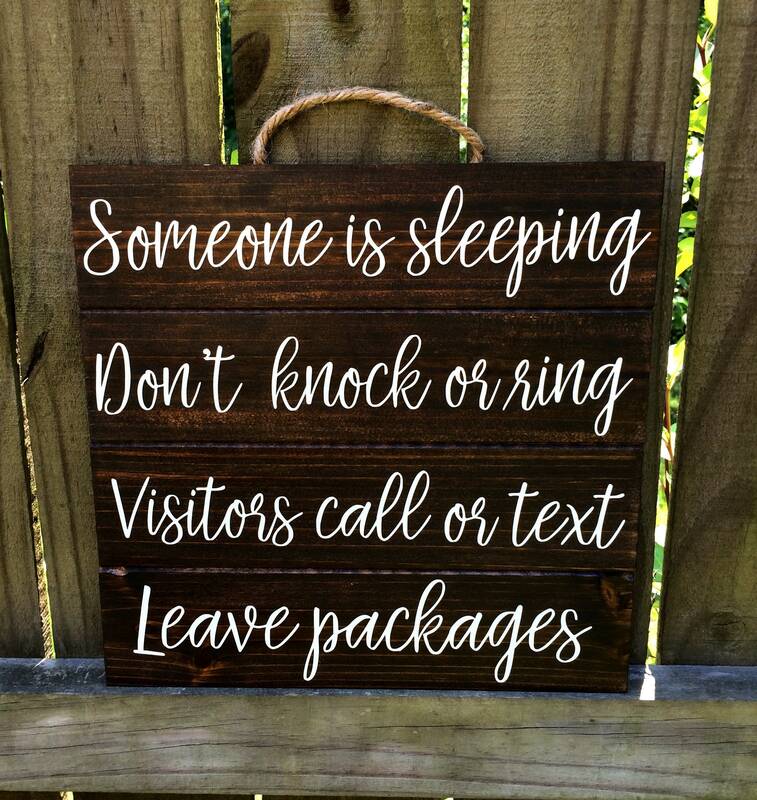 Just put it on your front door whenever you need it. This one is a natural wood background with a dark stain, but I also offer other color options in my shop. This was a very nice piece.